So long, September! Right in the middle of the month, it finally started to feel like fall. I wasn't too busy these last few weeks, which was so refreshing. 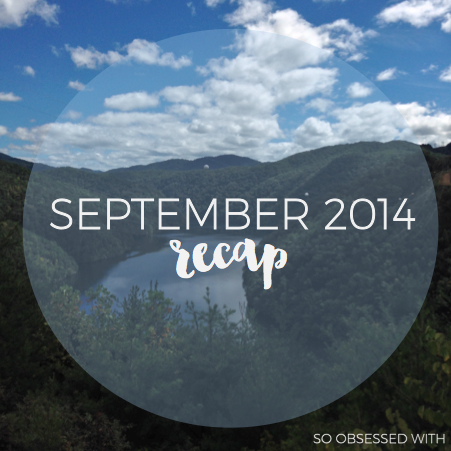 But I still can't believe how quickly the month flew by! 1. Two Years With Pupper - Two years ago, I researched rescue organizations in our area and found one pup whose picture jumped out at me. We went to meet him, just to see, and he was home with us that same day. I still can't believe this lovebug is ours! He's the best snuggler, buddy and co-blogger - I'm so thankful for him! 2. Liza Palmer Loveliness - I try not to use this section for book-related stuff, but I can't resist this month. I adored Nowhere but Home when I read it last year - so you can imagine my excitement when this arrived at my front door. I wasted no time in reading and am here to tell you that it's incredible. PRE-ORDER IT. 4. More May Books - I've written before about how I use May Books for blogging, so I was so excited when I saw their new Watercolor collection. The patterns are absolutely gorgeous! I couldn't choose a favorite and ended up buying three. I can't wait to fill these with notes and ideas! “...it's okay to show people all of you. Not only okay - but empowering. what you think is ugly and lame is actually what will set you free. What makes you the hero people will root for." "Broken people make the best heroes." 1. 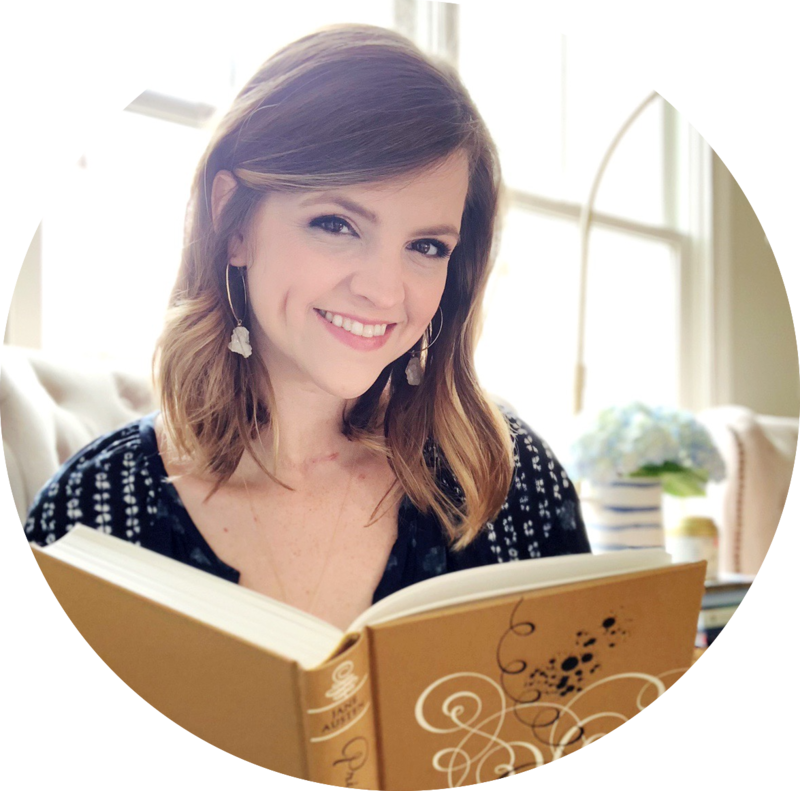 Ten Reasons You Should Be on Team Celaena by Alexa @ Alexa Loves Books - Alexa is the person who first introduced me to the incredible Throne of Glass series, so I've got to share this post! I adored the entire "Thirteen Days of Ash & Fire" blog tour, and you can explore everything posted in the links Alexa has shared in her post. If you haven't started this series yet, it's time! 2. 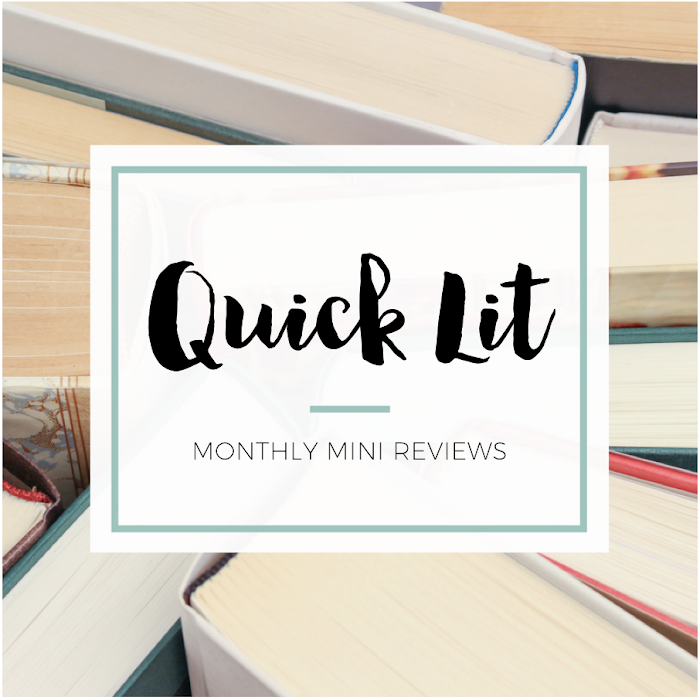 On the Same Page: Burial Rites by Hannah Kent by Amy @ Tripping Over Books - I adored Burial Rites when I read it last year, and I was so excited when I saw that Amy enjoyed it, too. But what I love most about this post is that it's a photo tour of Iceland and the places mentioned in the novel. The setting came alive for me in a new way after seeing these pictures, and now I want to read the book all over again. 3. The YA Sorting Hat: Book Boyfriends Edition by Gillian @ Writer of Wrongs - Honestly, I'm thrilled anytime I see a post from Gillian about book boyfriends or shipping. If she were to teach a college class, I feel like it would be in the art of shipping. 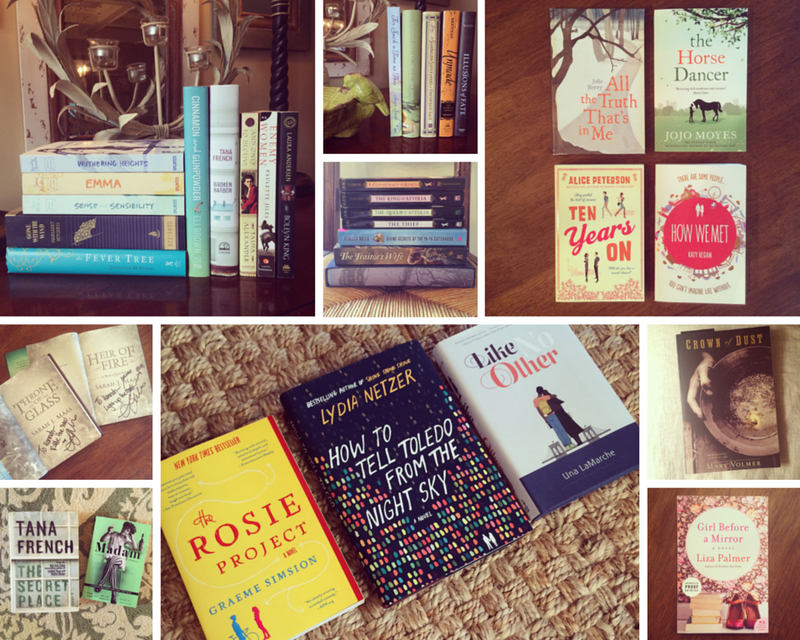 I love so many of the same literary guys that she does, which made this post such a fun read! And I think she's so spot-on in her sorting selections, too. 4. Stop & Chat: Delicious Library by Octavia @ Read. Sleep. Repeat - I saw Octavia tweeting about this software one day, and then I was anxiously awaiting her post about it. She didn't disappoint! She completely sold me on this software - something I didn't even know that I clearly needed in my life. Do I want to catalog all the books and movies that I own? OF COURSE. While I've enjoyed listening to this whole album, this is the song I have on repeat. Gwen Stefani has always been a favorite, so I love hearing her sing with Adam! How to Get Away with Murder, Pilot - I love Grey's Anatomy (yes, still) and have been meaning to start watching Scandal, so I couldn't resist tuning in to the premiere of this show. And holy cow! I'm already obsessed. Viola Davis just commanded the screen, and I'm already so intrigued by two murder mysteries introduced in the first episode. This will likely be a new favorite! 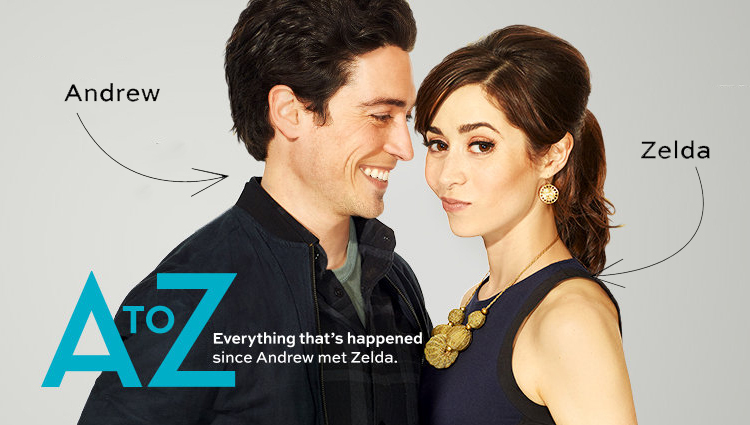 A to Z, Pilot: I felt like I was constantly seeing tweets from NBC about this show. The premise sounded pretty cute, so I decided to watch the pilot online. I have no idea how the rest of the season will go, but I so enjoyed the first episode. It's cute, funny and right up my alley. I added this one to our DVR! Yes, I'm aware that I got ALL THE BOOKS in September. What an awesome wrap-up of your busy month! This is actually a great idea bc sometimes I don't want to write up a full review but still want to blog what I can. I gotta brainstorm but I think you picked up some great things/books. I want to read Illusions of Fate!!! Hear awesome things about it!! Those quotes from Girl Before a Mirror sounds great. I will have to look for that one. I caught the pilot of How to Get Away with Murder too. Fingers crossed for a great season! I love Fall TV season too!! Entertainment Weekly is my favorite :D Love getting it every week. Although it stresses me out because I fall behind so easily even on shows that I love and then it's a race to catch up! Haha. I used to watch WAY more tv but right now I'm sticking with Sleepy Hollow, Big Bang Theory, Modern Family, Parks and Rec, Outlander, Game of Thrones, and Arrow (only on season 1 but I want to catch up!). I gave up on Vampire Diaries last season but part of me wants to keep going. Plus yeahhhh a lot of HGTV hahah and sports. They take up so much time! You can *NEVER* aquire too many books in my humble opinion ;) Although... that's a lot, I won't lie. LOL! Can't wait for your reviews of First Impressions and BLLB!! Six- LOVE THESE POSTS, always. sdsdsd. Okaaaaay, so I have been SO FREAKING EXCITED for Girl Before a Mirror as I loved Nowhere But Home, but omg after reading that first quote you highlighted..... icanteven. It sounds like a message that is perfect for me right now. I saw you and Octavia chatting about Delicious on Twitter and checked it out. It's next on my payday wish list! That edition of I Capture the Castle looks gorgeous... who publishes it? P.S. Interesting side note... I feel like I always most enjoy the posts that were YOUR personal favourites more than the ones that were most popular. Weird! Your dog is seriously adorable! And you definitely aren't lying when you say that you got all of the books in September (though I'm the same way, as will be evident in my upcoming haul video). Seriously though, September was an excellent month (and not just because Heir of Fire was released)! I enjoyed the transitional period between seasons, and at work, as it's shifting from crazy busy + hot to a bit more relaxed + cooler. And Macky came, which was awesome, obviously :) And we started planning things and chatting more and that's awesome too!